A flame-haired teenager captivates the lives of the famous painter and his young son, in director Gilles Bourdos’s visually evocative drama. 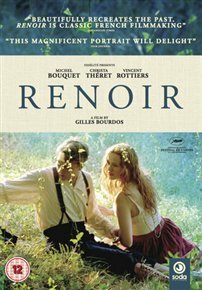 After arriving at the house of Pierre-Auguste Renoir (Michel Bouquet) in the summer of 1915, vibrant and ambitious 15-year-old redhead Andrée Heuschling (Christa Theret), soon becomes a muse to the aged and arthritic painter, inspiring a new lease of life in his twilight years. But the realities of the First World War intrude on the idyllic Cote d’Azur setting with the sudden arrival home of Renoir’s son Jean (Vincent Rottiers), an officer in the French army, to convalesce after being wounded in action. As the complex relationship between father and son gradually unfolds, an aimless Jean soon finds himself falling helplessly under Andrée’s spell.